Lots of style for Alla Fulton. 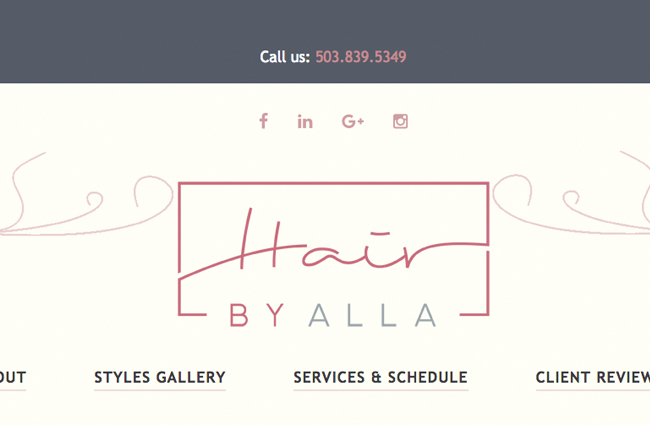 She is a high-end hair stylist in the Portland, OR area. She keeps up with the latest fashion and what's trendy. 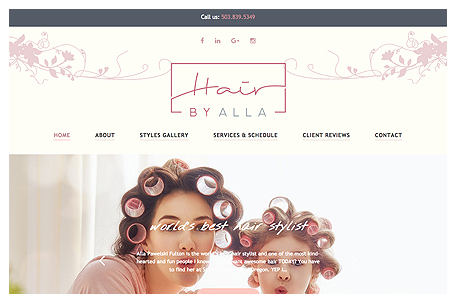 She recently hired us for a redesign in April 2017 after the initial 2012 design became outdated. We used a specific color scheme Alla selected, and stock photos that went with her theme to attract her target audience.